With no games being played yesterday nor today, what can should I do for today’s episode of The Sully Baseball Daily Podcast? 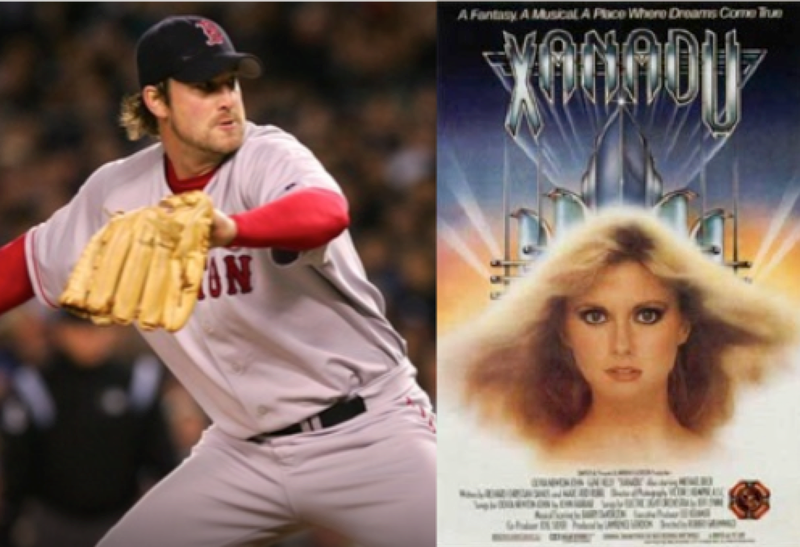 Honor Derek Lowe and watch Xanadu, of course! It is the Sunday Request on The Sully Baseball Daily Podcast! @sullybaseball You’re team/pitcher, throwing a No-hitter. I just witness my first one, with Bailey’s no-hitter. So what are my thoughts of seeing MY (the Red Sox) throw no hitters? And I share a recording of my dad and I listening to the end of the Lincecum no hitter. AJ Griffin, Didi Gregorius, Lonnie Chisenhall and I suppose Tim Lincecum all owned baseball on July 13, 2013. You are looking at the #1 and #2 Hits Leaders of ALL-Time for Active Professional Hitters in the World. Having them hit 1-2 in the lineup only makes sense. You might as well have them both retire at the same timeJeter is signed for one more year at 17 Million Dollars plus a player option ($8 MIL) for 2014. The Yankees signed Ichiro to a 2 year deal worth $13 MIL this past winter. I am not like a lot of people thinking that there should be a full-scale blow-up of the Yankees current roster this year (past that I am acknowledging this will happen.) They are old and 2013 will not make them younger. However, there are some small tweaks that the team could do in order to make the payroll make sense. 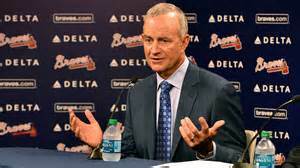 1st priority was to sign Ichiro Suzuki. 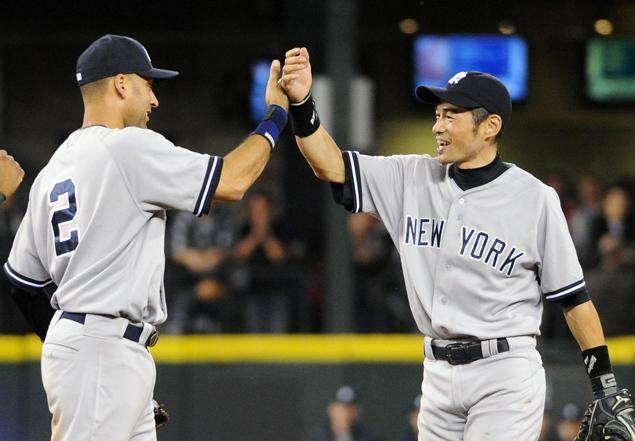 The Japanese Superstar was not and Yankees obliged to let him play RF in New York. 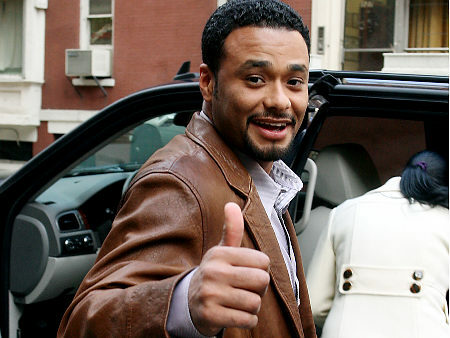 Adios to outgoing Nick Swisher. He was much too pricey and Yankee fans have to be sick at his lack of production in his playoff career. Swisher commanded a nice 4 or 5 year deal in the 56 – 70 Million Dollar Range from the Indians – and was not a fit into the Yankees current payroll structure. The Yankees were initially looking to spend just a little over 178 Million Dollars in 2013, but that didn’t happen. At a 40% penalty (for every dollar spent over the 178 Million Mark) for abusing the Luxury Tax Threshold, the team will need to have made financial considerations in moving forward each time they sign another new player. Curtis Granderson and Robinson Cano are on the last year of their contracts. Mark Teixeira, CC Sabathia and A-Rod still have multiple years left in their contracts. I would immediately move Alex Rodriguez to a permanent DH (when he returns to the lineup) – and play Kevin Youkilis at 3B for all of 2013. To the Readers on our Payroll Breakdowns: Keep in mind these are all just estimates as we are all not forensic payroll accountants. For a better look at how Payrolls work in the MLB please check out this article here. The Yankees have 27 World Series Titles and 13 Losses in the Fall Classic since 1921. That is 40 Appearances in 91 years. They have had the highest payroll team in MLB for the Majority of that span. As of 2013, they will not be able to claim that stake anymore. Will they still make the playoffs for the 18th time in 19 years? The Yankees had a precarious winter after failing miserably in the ALCS, (AKA the last time the country saw them play on Television) – when the team was decimated by the Detroit Tigers in a sweep. So what has happened since? A lot of status quo: Re-signing Mariano Rivera, Andy Pettitte, Ichiro Suzuki and Hiroki Kuroda, while saying good-bye to Raul Ibanez (SEA), Andruw Jones (FA), Nick Swisher (CLE), Eric Chavez (ARI), Russell Martin (PIT), Derek Lowe (FA), Steve Pearce (BAL), Casey McGehee (FA), Freddy Garcia (FA) and Rafael Soriano (WSH). All they really added back was former arch-nemesis Kevin Youkilis (CWS) and Travis Hafner (CLE). The team is sitting around 215 Million Dollars at Payroll right now, yet they have are heading into the 2013 campaign with Catchers that are of limited experience. For the first time in years, the club will need to see some internal progress from their farm system to help the big club. With A-ROD out with his hip injury, plus the Miami fiasco, can you really count on the prima-donna to play at all this season? Derek Jeter is coming off a brutal ankle injury that occurred in the aforementioned Post Season Series vs the Tigers . 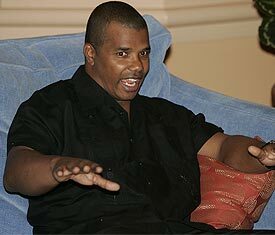 The club is also hoping that ‘MO’ Rivera can find it within himself to make it through another year as a 43 Year Old. Just like The ALL-Time Saves Leader, this team is aging fast. 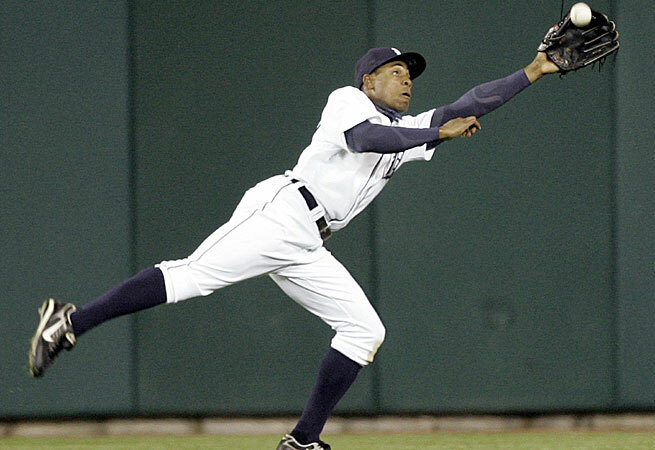 Robinson Cano and Curtis Granderson are Free Agents after 2013 is over. Brian Cashman is also going to take advantage of the reset option f the Luxury Tax loophole in 2014. This means that when the Luxury Tax goes from 178 Million to 189 Million next year, that the club can stop paying its 40% annual penalty if they can get under for just one season. The Yankees will be sure to blow up the Payroll from 2015 and beyond that, it is just to not start the new luxury lax at the maximum penalty. Had the Luxury Tax not moved from its current spot, the Yankees would always pay the 40% penalty (even if they decided to skip one year). Derek Lowe: Is the Veteran Hurler a Playoff Savior for Yankees? Jonathan Hacohen: Posted every Weekend: Your top baseball questions from the past week are answered. E-mail all questions to mlbreports@me.com, message us on Twitter, post on our Facebook Wall and leave comments on our website! There are many ways to reach us and we will get to your questions from all social media outlets! Jonathan Hacohen: I am off to the Rogers Centre today to watch the Yankees battle the Jays. This game matters little in reality. The Yankees are in first place, with a 14 game lead over the last place Jays. The Yankees are on a 4 game winning streak, while the Jays have lost their last 5. Given the Jays bulging disabled list, they will likely be fielding a team that will more resemble a AAA squad. But I still go. I go because I love baseball. I go because it is the Yankees and I love the history and pride of the franchise. The truth is: I don’t care who is playing and where the game will take place. I go because I love baseball. Speaking of the Yankees, I have something important on my mind. Derek Lowe. I will never stop thinking him as a member of the Red Sox, so today’s news took me somewhat by surprise. Lowe is now a member of the Yankees. So this is not your dad’s version of Derek Lowe. No, the 39-year old Lowe is nearly done. 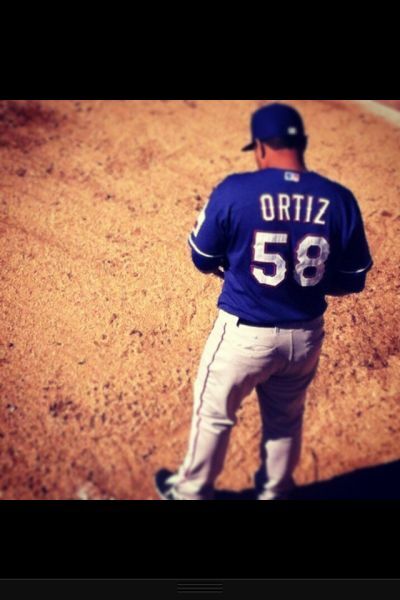 Unless he discovers the fountain of youth…or learns to throw a knuckleball. Lowe started off hot in Cleveland, but fizzled out quickly. Going to New York, his record on the year sits at 8-10 with a dismal 5.52 ERA. He has an unsightly 1.689 WHIP. He has walked more batters than he has struck out. But yet I hold out faith. Lowe was still very good as of 2010, but the wheels came off last year and never returned. Apparently Lowe has accepted an assignment to the pen. Heck, for the league minimum- the Yankees have nothing to lose. Pettitte may not return and now Sabathia is having elbow issues. 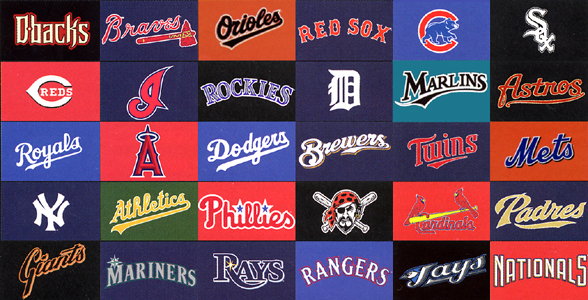 As the Jays, Red Sox, Yankees, Rangers and many other teams have proven this year- you can never have too much pitching. Pitchers get injured. Pitchers become ineffective. Remember how many Yankees fans were booing Bartolo Colon last year? Bet those same fans would love to have him back this year. Look at Ben Sheets on Atlanta. What’s old is new again. As long as Lowe’s arm is still intact, I say throw him in there. If he can get hot for even 2 weeks- that’s all what it might take in this game. Great signing by Brian Cashman. Derek Lowe could end up being a winning lottery ticket- or simply a lost dollar. Low risk, high reward is the name of the game folks. Chuck Booth (Lead Baseball Writer and @chuckbooth3024 on twitter)- It has been a crazy month in which teams have stockpiled some heavy talent at the trade deadline to get ready for the playoffs. Amongst the biggest gainers for the rankings this month were: the Athletics, Reds, Braves, Tigers, Dodgers (because of the deals) and Mariners while the Mets, Red Sox, Indians and Royals saw brutal months all but seal their playoff fates. I do think that Boston has a punchers chance but that all is dependent on David Ortiz returning to the lineup swiftly. The power of the best teams is definitely leaning to the National League right now where several teams are playing great baseball. With one-third of the season left we are all in for a treat as baseball fans. Chuck Booth (Lead Baseball Writer and @chuckbooth3024 on twitter)-We are going to bring you monthly power rankings every month of the season. There will be a few notes written for each team. Please feel free to let us know your thoughts. 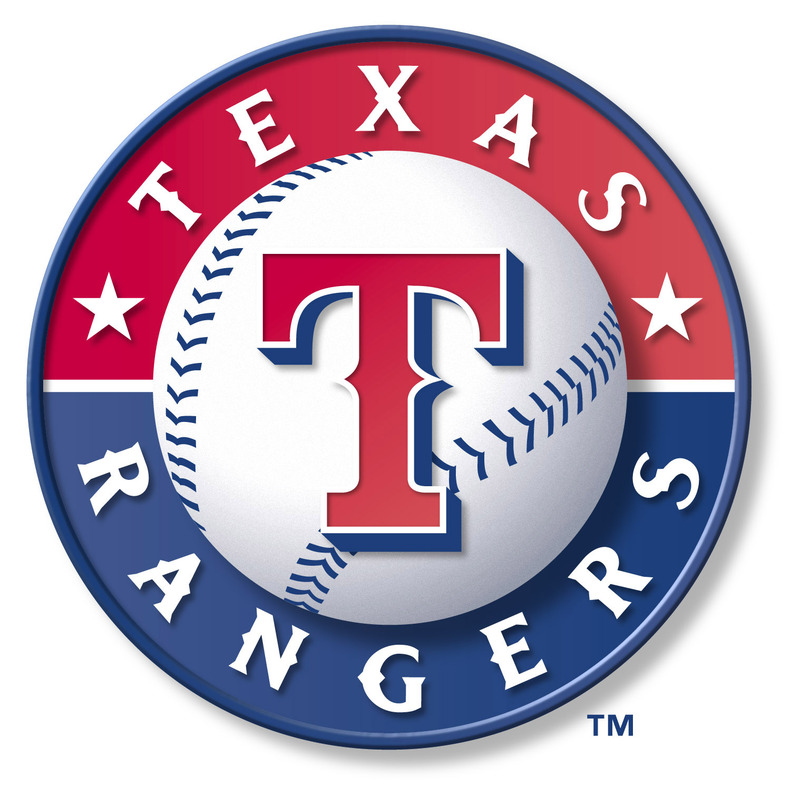 The Texas Rangers are the top ranked team yet once again, although teams are certainly gaining on the them in the last month. If this report was being done last week I might have put the New York Yankees in 1st and Texas in 2nd. A 7 game winning streak help preserve another month for Texas on the leader-board. There were superior months by Aaron Hill, Jose Bautista, Joey Votto , Jason Heyward and a new phenomenon was born with Jose Altuve. It was a great month for the MLB. With 20 teams within 5.5 games or less for the playoff races, we are sure to see some serious movements in the Power Rankings in the 2nd half of the season. 1. Texas-50-30 (1) The Rangers rode a 7 game winning streak to end up 18-8 for the last month. David Murphy, Adrian Beltre and Elvis Andrus all hit over .300 in the last 30 days. The Rangers were able to weather a slow spurt from Josh Hamilton, in which he hit .222 with only 4 HRs for the month. Matt Harrison has asserted himself as an ace on the staff with a 5-0 month with a 1.29 ERA, while leading the American League with 11 wins on the year. The Rangers have 6 players going to the ALL-Star Game including 3 starters. Yu Darvish can make a 7th if he is voted into the final roster spot with his rookie campaign of 10-5 so far. 2. NY Yankees 48-31(5) The Yankees have ridden good pitching and a hot bat from Robinson Cano to a 19-7 record over the last month, with a 5 games lead over their competition in the AL East. Cano hit .370 with 12 HRs and 24 RBI in the last month. Derek Jeter is hitting .298 overall but saw his average go from .389 in April, to .283 in May to .232 in June. He still tops a list of 4 Yankees heading to the ALL-Star Game including 23 HR homer man Curtis Granderson. Phil Hughes went 5-1 in the month with a 2.59 ERA and Ivan Nova won his 3 decisions with a miniscule 1.32 ERA. Rafael Soriano has converted 18 out of 19 save opportunities since taking over as team closer. 3. San Francisco 45-30 (9) The Giants went 16-11 in the month and saw a perfect game from Matt Cain, with a few other 1 hitters. The team shutout the Dodgers 3 games in a row in a series last week. The Giants have Pablo Sandoval, Buster Posey and Melky Cabrera starting in KC next week. The Melkman continues to show that last year was no fluke with his .352 Average and he is leading the Major Leagues with 111 base hits. The Giants pitching staff has coped with the loss of Brian Wilson and the ineffectiveness of starter Tim Lincecum, by the rest of the staff having career years. 4. LA Angels 45-35 (12) The Angels have been really steady since the end of May. They just finished going 17-8 in the last 25 days on the backs of ALL-Stars Mike Trout, Mark Trumbo and resurgent Albert Pujols. Trout might be the most exciting player on the planet these days and is a lock for AL Rookie of the Year if he keeps this up. Trout hit .367 over the last month and has taken over the AL batting lead with a .342 AVG. Trumbo hit 10 HRs and drove in 28 RBI for the month and Pujols hit .337. to raise his average 40 points. C.J Wilson was good enough in June to be named as CC Sabathia‘s replacement at the ALL-Star game. Indians Off to Another Strong Start – But This Time, Will it Last? 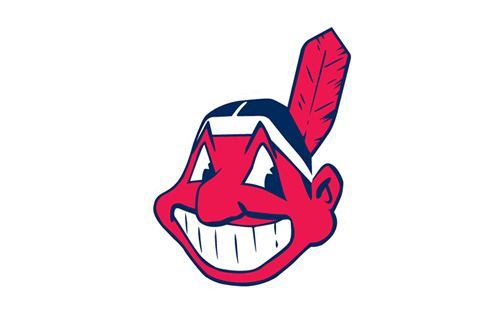 Ryan Ritchey (Baseball Writer): The Cleveland Indians are off to a hot start for the second straight season. Last year it didn’t last… and the team ended up falling apart. What is going to happen this season? Will the pitching stay strong until the end of the season or fall off the map when it most counts? Asdrubal Cabrera has come down with a pulled hamstring in the past week and will be out. This could really end up affecting the team, or he could come back soon and be fine. The thing about a hamstring is that it can be a nagging injury, if it doesn’t fully heal properly. If I’m Manny Acta, I sit Cabrera until he is fully healthy. Chuck Booth (Lead Baseball Writer and @chuckbooth3024 on twitter)-We are going to bring you a monthly power rankings every month of the season. There will be a few verses for each team. Please feel free to let us know your thoughts. Texas (19-10) Josh Hamilton is clubbing the ball at his 2010 like AL MVP clip. Yu Darvish appears to be the real deal. Mike Napoli hits 8th on most nights. Michael Young might be the most under-appreciated hitter in the last decade. Ian Kinsler is on pace for 162 runs. If Nelson Cruz starts hitting and or Nathan rounds into form, than this team may blitz by every one. Tampa Bay (19-10) The pitching staff is incredible right now. David Price is asserting himself as one of the premier left-handed pitchers in baseball. Strong starts from Evan Longoria, Luke Scott and Carlos Pena have helped. 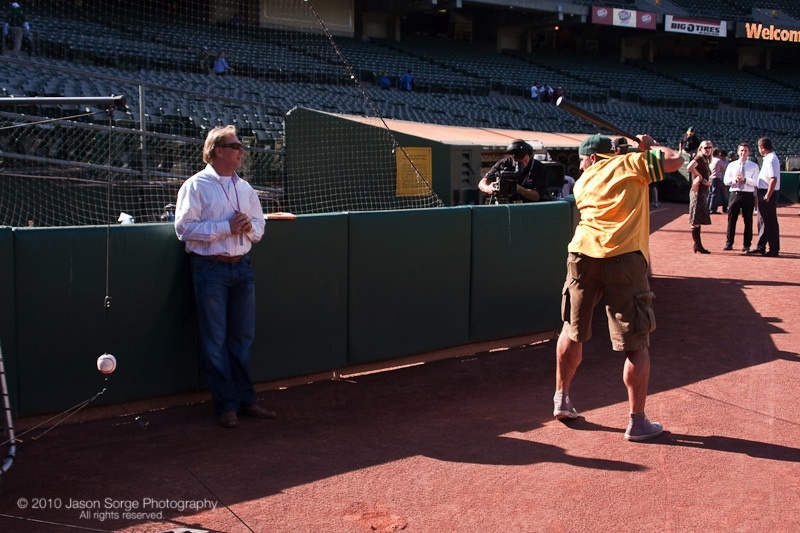 Joe Maddon may be the best ‘in-game manager’ of baseball now with Tony La Russa out of the Majors. Atlanta (18-12) The reason I have Atlanta rated so high is they are not even having a good year from Tim Hudson yet and Jair Jurrjens has been atrocious. Still they sit near the top of the standings. Chipper Jones has 21 RBI and Freddie Freeman has taken the next step so far with 26 RBI. Last year the team had a lot of players with career worst years and they were only eliminated on the last day of the season. This year may be different. St. Louis (18-11) You lose a franchise player like Albert Pujols and you spend half the money for Carlos Beltran and Rafael Furcal, who are finally hitting the numbers like the back of their bubble gum cards from 5 years ago. 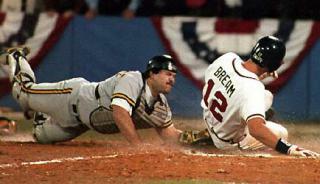 Are we giving enough credit to Mark McGwire here? Lance Lynn has morphed into Chris Carpenter with his 6-0 start.